I know it has been a while. I was without power and Internet for a little over a week due to Hurricane Sandy. Thankfully, we are all safe and have no damage to our property, which is fortunate considering how close we are to areas that were really devastated. If anyone is looking for a place to make donations/volunteer in the NJ Bayshore area, please contact me and I can give you some information. So since there was a delay, I was unable to post all of my remaining Halloween projects. Below you can find the remaining projects from the Halloween season. Soon I will begin posting some Fall and Christmas projects, so stay tuned for many new ideas for your holiday crafting! Here is one of the cards that I sent out to friends and family for Halloween. It's a variation on an earlier card I made. To see the first card, click here. 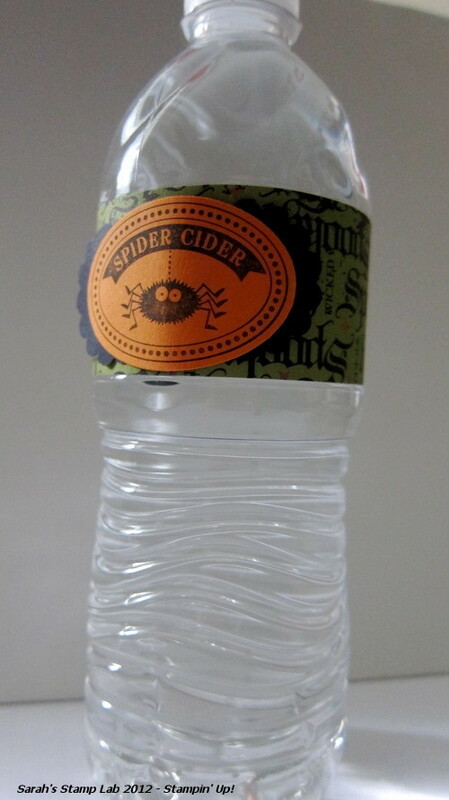 Up next are some bottle wrappers I had originally made for some customers who were attending a Halloween class. This project features some of last year's Halloween themed Designer Series Paper. It can be found on the Clearance Rack. The last project I am going to be featuring today is the favor that I made for those who attended my Googly Ghouls card class. 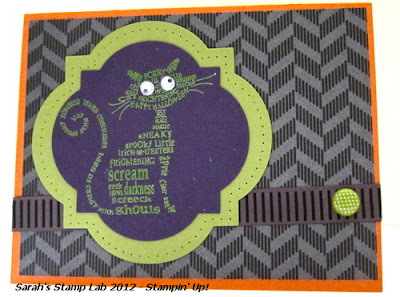 My fellow demonstrators may recognize this as one of the projects featured in our demonstrator magazine, Stampin' Success. It's one of the best perks of being a demonstrator. If you would like to see what the magazine is like, click here for a taste of what the articles are! If you are interested in becoming a demonstrator, email me! That's all I have for today. I hope you enjoyed the last few spooky projects I have for you! Now it's time to bid the Ghouls farewell and move on to some new holiday projects! 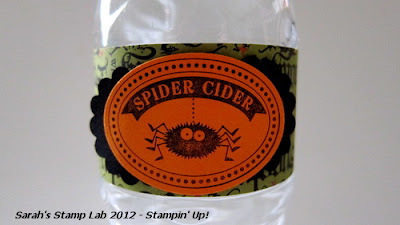 Be sure to check out my Promotions tab above for the newest promos from Stampin' Up! Stay tuned for a new 2013 Class schedule!! !